Get Lakshmi and Kuber's Blessing on Dhanteras. Check our Dhanteras Pics and Cards for this special occasion. 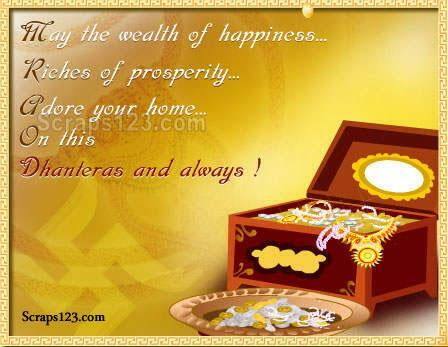 Dhanteras Images and Greetings.